Please feel free to join us every Monday evening at 7:00pm for a free intervention information session. Located at the southeast corner of Oakland Ave and Union St on 2nd floor. 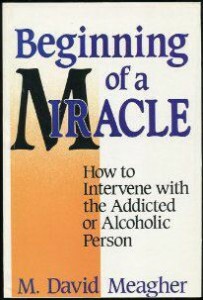 From author Mick Meagher of Beginning of a Miracle, How to Intervene with the Addicted or Alcoholic Person, published 1987. Mick has been doing interventions since 1975, and led 1,000’s of families and businesses in interventions. He has trained over 5,000 professionals in setting up interventions programs.